St. Amant Cycles in Gonzales is an owner operated power sports repair business that works with most brands and all models of motorcycles and off road ATV’s. We often have the lowest labor rates in the area, making getting back on the trail easy on your budget. We have a wide variety of replacement tires for all off-road vehicles and can make almost any type of repair. 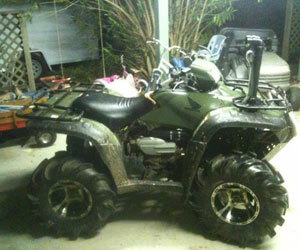 We also buy junk ATVs for parts or refurbishing. Contact us or stop in to learn more about what we do – talk to Larry the owner and he’ll take care of your sport vehicle repair needs.